In January 1969, Led Zeppelin was unleashed on the world with the release of their trailblazing debut album. Just ten months later, in October 1969, the band’s equally groundbreaking follow-up album Led Zeppelin II was released. Fifty years later, Led Zeppelin remains one of the most important bands in music history whose songs continue to be discovered and embraced by each new generation. 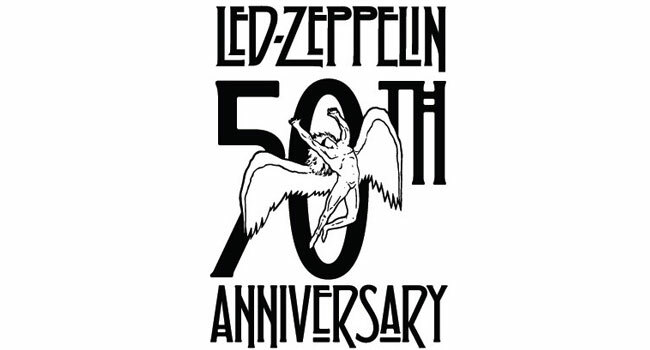 To kick off the celebration of the band’s historic golden anniversary, a new career-spanning digital album Led Zeppelin x Led Zeppelin was released last fall on all digital download and streaming platforms. The band has kicked off a new playlist program that will allow fans and fellow artists to assemble their own, personalized Led Zeppelin playlists using the Led Zeppelin Playlist Generator. Via the generator, fans can build a playlist using any track from the Led Zeppelin catalog, including all their studio and live albums plus the deluxe editions released over the last few years. Once complete, the Led Zeppelin Playlist Generator will then create custom, personalized cover art to accompany the playlist and allow fans to share via social media. Fans can also use the program to generate their own personalized social media profile picture of their name in the famous Led Zeppelin font. The program has launched with playlists curated by Jack White and Royal Blood, both of which cite Led Zeppelin as critical influences on their music, and will continue with playlists from other artists throughout the year.